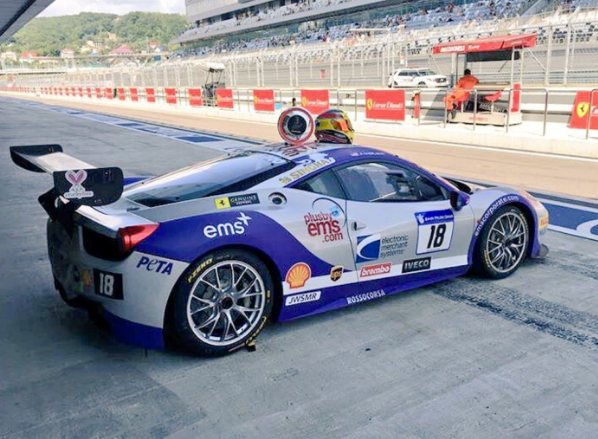 While competing to raise awareness for the Cornerstone of Hope Foundation and PETA Cruelty Free, EMS Race Team traveled to Russia for the Ferrari Racing Days event in Sochi this past weekend. On a track surrounding the site of the 2014 Winter Olympics, driver James Weiland and his team battled some of the best Ferrari Challenge drivers in the world all weekend long. Despite this significant test, EMS would eventually make Russia the fourth country they’d earn a podium finish in this season with a top-three performance on Sunday.